Grew up with Fenerbahce Ulker Istanbul (Turkey) juniors. Made his debut with Fenerbahce Ulker during the 2006-07 season. Played there till the 2010-11 championship, also playing during the 2009-10 season with FMV Isiskspor Istanbul, TBL2. Signed for the 2011-12 season by Mersin BB. 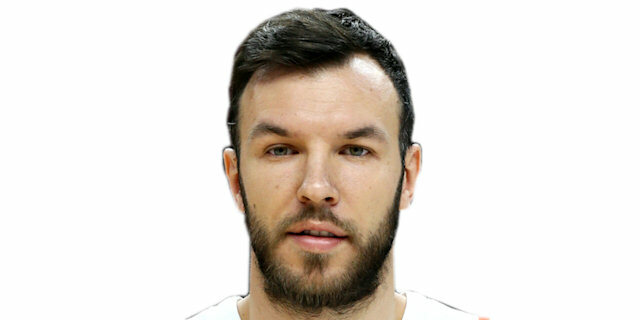 Signed for the 2012-13 season by Fenerbahce Ulker Istanbul. On January'13 signed by Pinar Karsiyaka. Signed for the 2014-15 season by Banvit BK Bandirma. Signed for the remainder of the 2016-17 season by Anadolu Efes Istanbul. Won the 2010-11 Turkish National Championship with Fenerbahce Ulker Istanbul. Has been member of the Turkish U-16, U-18 and U-20 Turkish National Team.